Following our recent success on retail environment projects, we were commissioned by Henri Lloyd to create a new retail guideline document which could be used across global markets and help launch a new identity at retail. An exciting opportunity with a great brand! 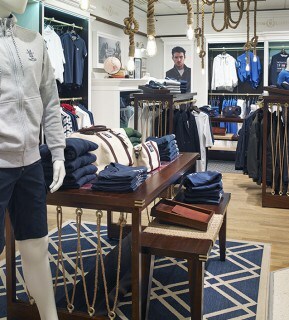 The brief was to re-establish the Henri Lloyd brand at retail and align global markets and provide an updated look and feel which presented the Henri Lloyd brand uniquely against its main competitors. 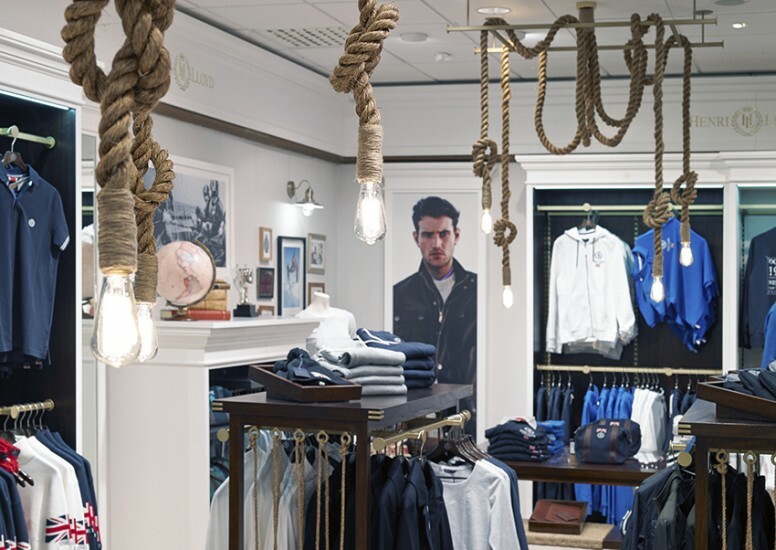 We first needed to identify what made the Henri Lloyd brand unique and execute elements which translated to retail to make the store or space individual. We used the 4 key HL brand values – Aspiration, Innovation, Quality and individual to draw up a set of moods which would help form the concept. We picked out ownable signature details which could be dialled up or down depending on the store and area available. These included heritage graphics, textured detail, rope and brass which made the furniture and lighting bespoke and ‘on brand’. We worked closely with the Marketing team to establish a concept then apply to a full store environment, then smaller concession areas as well as looking at all furniture requirements. The overall materials palette was rich with dark woods softer detail to add warmth. Brass logos introduced a premium feel whilst texture has been added with wallpapers, coloured walls and rugs. 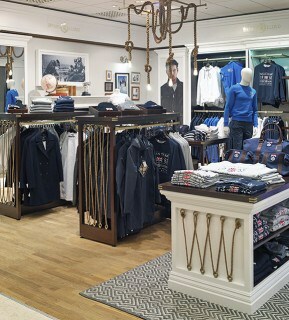 Propping is key to the retail design and offer a nod to heritage and the sailing theme. 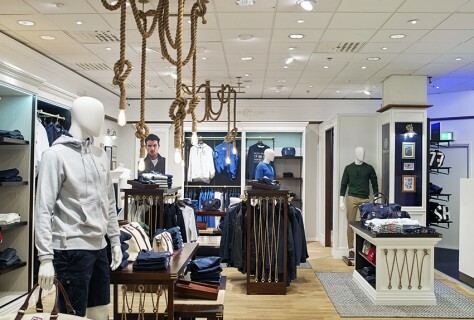 With the guidelines complete we were asked to deliver the new look first concession in NK Stockholm. 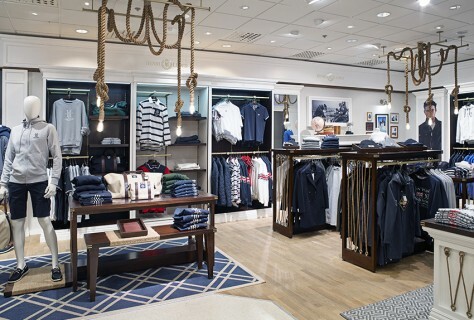 We turned around this store in 4 weeks from sign off to launch and have nicely executed the concept. Our team worked tirelessly over the 2 days to install a wall bay system, gondolas and hero bays. We can report the store having been opened for 3 weeks the store has been really well received and is attracting new customers every day and we look forward to opening more stores in the near future!